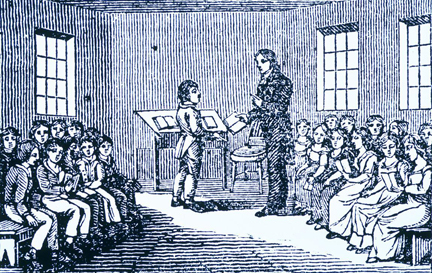 Cue the headbangers going ape in 3, 2, 1… Because it had become impossible to have any kind of sensible teaching of climate change in schools, the UK government is proposing to cut climate change from the syllabus for children up to the age of 14. Huzzah and hooray. And the headbangers are indeed steamed up, complaining that such a cut is “political interference”, oblivious to the fact that it was their relentless propaganda campaign to indoctrinate climate dogma in the classroom that forced this action in the first place. “What you seem to have is a major political interference with the geography syllabus,” said the government’s former science adviser Prof Sir David King. He said climate change should be taught alongside the history of – successful – past attempts to curb chlorofluorocarbon (CFC), which is blamed for the depletion of the ozone layer, and air pollution caused by coal fires and cars. The comparison with CFCs is facile, because while there are alternatives to CFCs, there are no genuinely affordable alternatives to burning fossil fuels, especially for the poor and developing countries of the world. Note that it is the “climate campaigners” who are complaining the most, because they won’t be able to fill impressionable young minds with their environmental propaganda, and they won’t then go home and badger their parents into installing solar panels or recycling tea bags or switching their lights out for Earth Hour (fast approaching once again – stay tuned). See here for more. In a way, this is a classic own goal, since students should understand the interaction between humanity and the environment, but since such interaction is inevitably portrayed as a one way street (ie. wailing that we’re destroying the planet), the only option was to remove it entirely. There’s something called balance, and it’s sadly lacking from the climate debate. A ship captain himself until the 1840’s, the Norwegian born Johan Jakob Bennetter attended the Christiania School of Design in Oslo before venturing to France in 1855 to further his studies. He was best known for his detailed and accurate depictions of ships at sea. Painted after his return to Norway in 1880, A bore on the Hooghli relates to a natural phenomenon that is known as a bore tide. These fast flowing high waters occur following an extremely low tide when there is a rush of seawater into a narrow shallow inlet from a broad bay such as this, where the Hooghli River enters the Bay of Bengal, India. 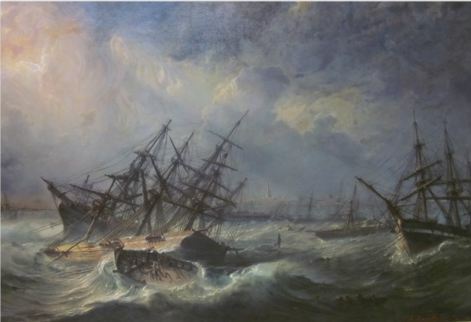 One of two seascapes by this artist owned by the Gallery – the other, known as The first shot features a battle between a ship flying the East India company’s flag, and a French ship.of the Napoleonic era… Both of these works and indeed several other early acquisitions, came to Australia through the agency of Alfred Fletcher, an art dealer in Melbourne during the boom period of the 1880’s. All well and good. But what does the “art trail” for children say? What other changes in natural phenomena do you know of as a result of global warming? There are many, many more in similar vein. Shame on the Ballarat gallery for peddling this blatant, extremist political propaganda at children who do not have the capacity to question it, and who will in all likelihood, accept it as fact. Tony Thomas at Quadrant Online has the full shocking story here. You may wish to register your displeasure by emailing the gallery at artgal@ballarat.vic.gov.au. “Science is a social and cultural activity through which explanations of natural phenomena are generated,” it says. It’s utter garbage of course. But nowhere has this new flexibility of post-normal science been exploited more effectively than in the teaching of climate change in schools. Political correctness and “social and cultural interpretations” have trumped scientific objectivity, so that students are fed a stream of eco-propaganda cut-and-pasted from environmental activist groups press releases, which masquerades as impartial science. Dissent is suppressed at all costs and only the “authorised” line is plugged. If you think this is exaggerated, have a look at the extract from a geography text book at the end of this post (see original here). LNP members have overwhelmingly voted to ensure the removal of “environmental propaganda” about climate change from schools. The motion, proposed by the LNP’s Noosa State Electorate Council, calls on Education Minister John-Paul Langbroek to require Queensland schools to “remove environmental propaganda material, in particular post-normal science about ‘climate change’, from the curriculum and as adjunct material at exam time”. The mover of the motion, LNP member Richard Pearson, railed against “those false prophets who would poison the minds of our children in our schools”. 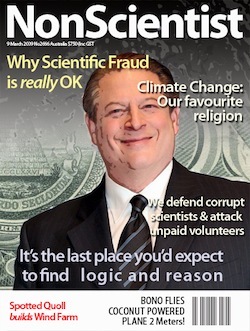 “Few people understand that the so called science of climate change is really what can be defined as ‘post-normal’ science,” he said, arguing it went beyond traditional understanding of science based on experimentation and falsifiable theories. Another member spoke against the motion, saying he was concerned when people tried to dismiss differing opinions and he believed children to have access to all information. 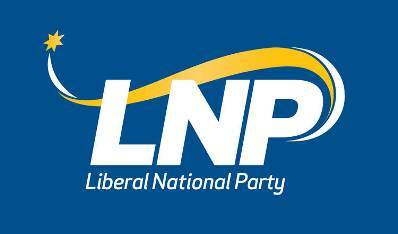 The motion was nonetheless passed with overwhelming support from the LNP members at the gathering. I guess we wait for the brainless alarmists to start saying that this is akin to teaching creationism alongside evolution or that gravity isn’t settled science or some other idiotic comparison. No, it isn’t. Whereas there are centuries of hard empirical evidence for both evolution and gravity, there are about 20 years of flaky computer modelled projections on which the entire climate scare is based, not to mention the massaging of temperature data to prop up The Cause. Furthermore, whereas there are no political gains to be made from evolution and gravity, climate change has been swamped by political motivations of global organisations like the UN and the IPCC (which, having been infiltrated by environmental activist groups, have already made up their minds that CO2 is to blame and are just desperately searching for evidence to back it up) and national governments, implementing pointless gestures like the carbon tax to appear politically correct (and in Australia’s case, stay in power). For anyone to claim the “science is settled” and that only the approved version be taught in schools is delusional. At least Queensland LNP is taking a stand against this brainwashing. 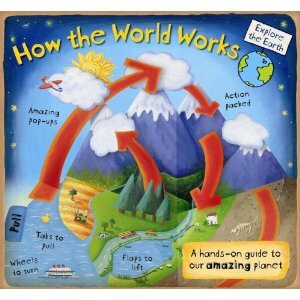 Unpacking a delivery from Amazon this morning, I was faced with an attractive and well-presented children’s pop-up book entitled “How the World Works – A hands-on guide to our amazing planet” (see cover illustration right). As usual, before passing it on to my children, I gave it a quick scan for any possible subliminal (or blatant) global warming propaganda, and suffice it to say, it’s going straight back to Amazon in tomorrow’s post. 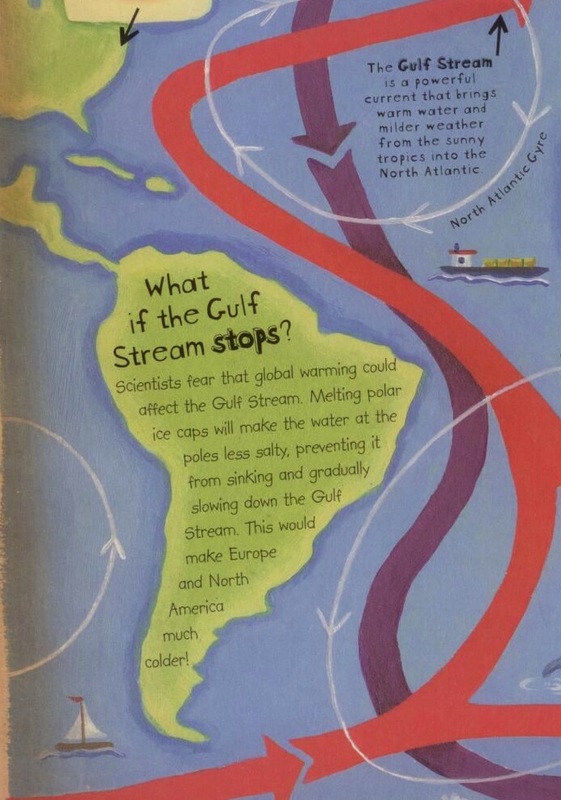 Just for background, this book was the winner of the Royal Society’s Young People’s Book Prize in 2011 – and that just about tells you all you need to know. The Royal Society isn’t about impartial and rigorous science any more, its about environmental brainwashing and political activism, hence this book would have scored very highly. It was also shortlisted for the Blue Peter Book Awards 2011 (“best book with facts” – no irony intended). “The world has changed fast over the last hundred years. With an increasing number of people, factories, power stations and cards. We are constantly adding large amounts of carbon [sic] to the air, but the planet cannot absorb it any longer. We are meddling with the world’s natural carbon cycle, with worrying results (see ‘The Greenhouse effect,’ on the right. And as you can see from the images, it’s all dressed up in cheerful, kid-friendly artwork, with plenty of pull tabs and pop-ups so the message is cleverly concealed. Apart from the global warming propaganda, almost every page admonishes the reader and humanity in general for the evil it has done to the planet. 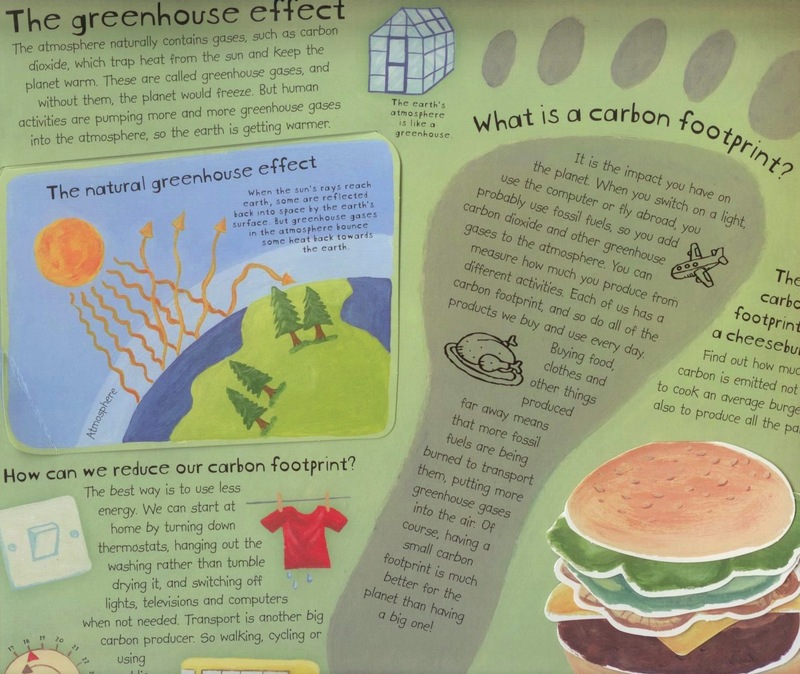 Because it’s a kids book, and the message must be straightforward, there’s no room for subtlety or shades of grey – it’s a blunt assessment that humanity is damaging the planet and we must change our ways, or else. Gone are the days when children could grow up enjoying the wonders of the planet and the universe for their own sakes without being badgered or berated. 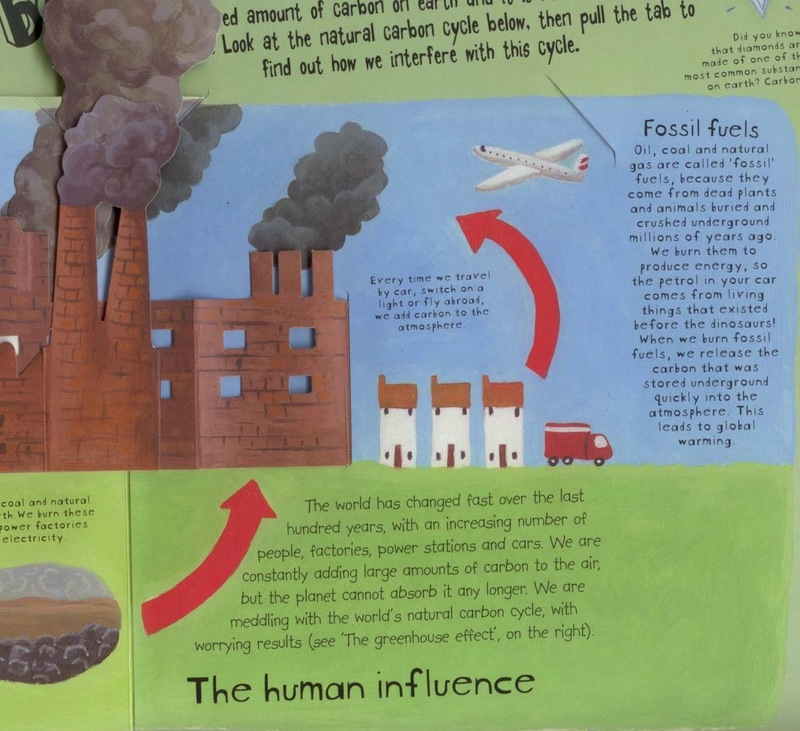 Now even pop-up books designed for the very youngest in our society are packed with enviro-propaganda to make them feel guilty about the way in which humanity (and by inference the young readers of the book) have defiled Gaia. Tragic. A link to the book on Amazon is here. The publisher is Templar (link). UPDATE: Apologies for the typos – quick copy typing unfortunately. Hopefully all corrected now. Get 'em while they're young, right? 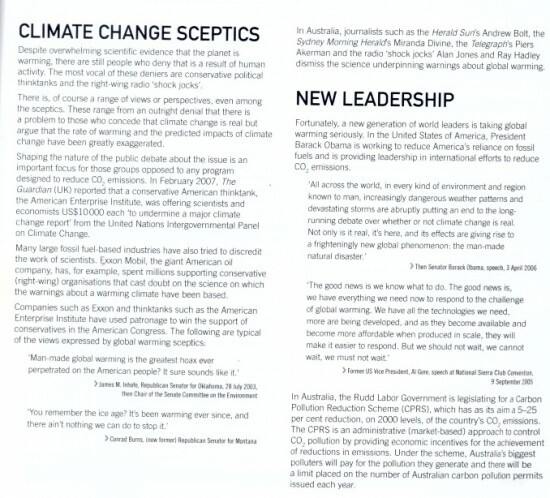 New Scientists wants climate indoctrination in schools, so it would be very proud of Australia, where such propaganda is disseminated widely thanks to Labor’s “Clean Energy Future” legislation. Yes, you read that right – a new website aims to indoctrinate school children with political propaganda on climate change. Australian teachers and students can now harness the kinetic energy of a soccer ball to charge a mobile phone or power a light bulb, as part of ‘Future Sparks – our clean energy show and tell’ program, which was launched on Tuesday 21 February 2012. Read the full story ‘Engaging our future bright sparks’ about the Future Sparks program on the Clean Energy Future website. 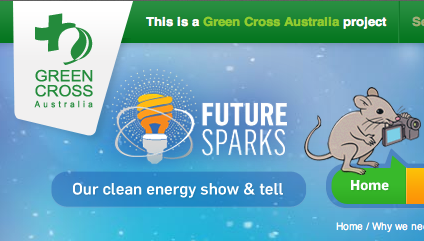 Green Cross Australia, CSIRO and the Clean Energy Council have joined forces to showcase the latest scientific and engineering developments to inspire and amaze students about the transition to cleaner sources of energy. This initiative is proudly supported by the Department of Climate Change and Energy Efficiency. The Future Sparks website is now live and has been designed to fill classrooms with the buzz and excitement from the clean energy future industry. The website features a video and persuasive writing competition giving students the chance to flex their creative muscle and participate in the wider clean energy future conversation. CSIRO have provided lesson plans that are flexible and fun, catering for a wide range of school settings. Future Sparks is compatible with the Australian Curriculum, particularly with English and Science, and the cross-curriculum priority of sustainability. The Earth’s climate has changed dramatically since the beginning of time, but evidence now shows that human activity is creating a sharp increase in the amount of greenhouse gases in the atmosphere. Scientists agree this causes the temperatures on Earth to rise, which influences the climate – more extreme weather events, more often. In some areas, the sea level will rise – and this is very worrying for people who live on small islands, particularly our Pacific Island neighbours. There are now 7 Billion people on Earth – more than any other time in history – and this number is expected to continue to rise, putting further strain on the planet’s resources and adding greatly to climate change. Animals will have to seek out climates to suits them – this will be a problem for alpine species in Australia! Diseases will spread to new areas where the changed conditions will now suit microorganisms that can cause them. So the change in climate will bring widespread change to our way of life and environment. Click the video link (if you can stand it) to see how some children have been totally brainwashed already. It’s truly, truly shocking. Links to CSIRO propaganda feature prominently, as do photos of polar bears and bush fires. This tidal wave of propaganda will continue until our government is changed, finally, and this kind of political indoctrination is taken out of the classroom. It is utterly disgraceful. Children should be taught honestly what we know about climate change, as well as what we don’t know and where the uncertainties lie. Yet a plan outlined in documents allegedly from Heartland would build a curriculum around statements such as “whether humans are changing the climate is a major scientific controversy”. This is to create controversy where none exists. There simply is no credible scientific alternative to the theory that humans are warming the atmosphere. We all acknowledge that humans are warming the atmosphere. The question, and where the doubt lies, is in the magnitude of that warming, in particular relative to natural climate cycles. Why are supposedly intelligent publications incapable of understanding this obvious difference? If that warming is one degree, then this isn’t a problem. As we keep repeating, the catastrophic projections come from multiple positive feedbacks in climate models. In 2010, a survey of 1372 climate scientists found that 97 per cent of those who publish most frequently in the field were in no doubt. They agreed with the Intergovernmental Panel on Climate Change that human activity had caused most of Earth’s warming over the second half of the 20th century. By comparison with these scientists, the climate expertise of the small group of contrarians was substantially lower (Proceedings of the National Academy of Sciences, DOI: 10.1073/pnas.1003187107). Ah yes, science by head count, and the politicised statements of a political organisation, the IPCC. Smears, smears and more smears. And hints at a scientific conspiracy and selective use of evidence were both clearly exposed in the Climategate emails, but that doesn’t seem to concern the editorial writers today. Why do they bother? Only total indoctrination will satisfy the headbangers at Non Scientist. The problem with adults is that they have mature and developed powers of reasoning and logical thought. This means that adults can easily see through the government’s deceit on the carbon tax, namely that it will be of some benefit to the climate – it won’t – or that the rest of the world is racing ahead to take action – it isn’t – or that the planet is headed for oblivion if we don’t send our economy back to the dark ages – it isn’t. Therefore, because they have no standards of morality or decency whatsoever, they are prepared to bypass the grown-ups and go for the impressionable minds of children. This is nothing new, as ACM has reported on many such occasions (see here, for example, and the CSIRO’s Carbon Kids program, a disgraceful propaganda exercise by our national science body, on which there may be more at a later date). SHE grows awesome tomatoes and has an orange tractor. 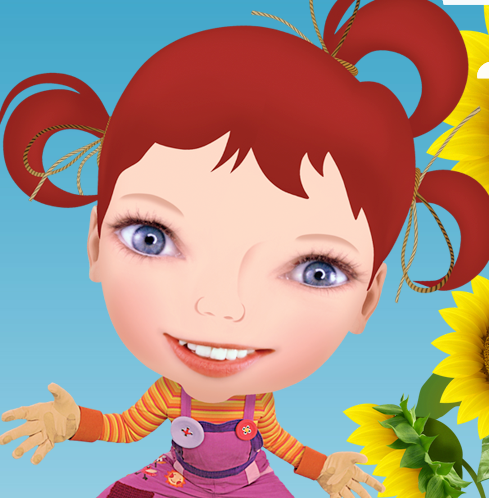 And now dirtgirl, the lead character in the popular children’s television program dirtgirlworld, has been enlisted to the climate change fight by a Gillard government struggling to convince her viewers’ parents of the merits of the carbon tax package. Senate estimates was told yesterday the ABC show had been awarded a $150,000 grant “to reach currently disengaged families through childhood activities focused on reducing energy use”. The hearing was told the government had $10 million left for an advertising campaign to back the carbon tax. But no decision had been taken on the future of the campaign. Other recipients of Climate Change Foundation grants included Green Cross Australia, which was awarded $200,000 for a primary school show-and-tell competition. The $3m grants program was announced last June in conjunction with the government’s paid advertising campaign to promote the carbon package. The $10m remaining in the government’s advertising allocation follows its controversial advertisement last year backing the clean energy future package, which was found to have largely failed to sway public opinion on carbon pricing. Aided and abetted as usual by Their ABC.